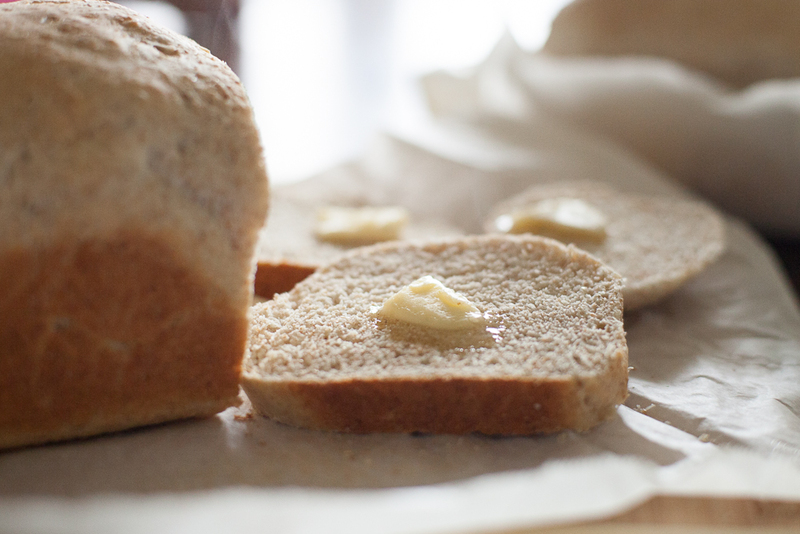 Is there anything more comforting than the smell of homemade bread wafting through the house? I vote no, although actually biting into a warm piece slathered with melty butter is definitely a close second. I love to cook and will happily spend too much time on a meal, but when it comes to baking, I'm LAZY. I love the taste of homemade bread, the idea of homemade bread, the savings from making your own bread, and the control over the ingredients...but I do not love the time that it takes to babysit traditional bread dough. It is a beautiful art, I know, and one I fully appreciate...when someone else is creating it. Remember me? LAZY BAKER. Hearing about this mysterious one-hour bread, and then trying it totally changed my bread-baking life. 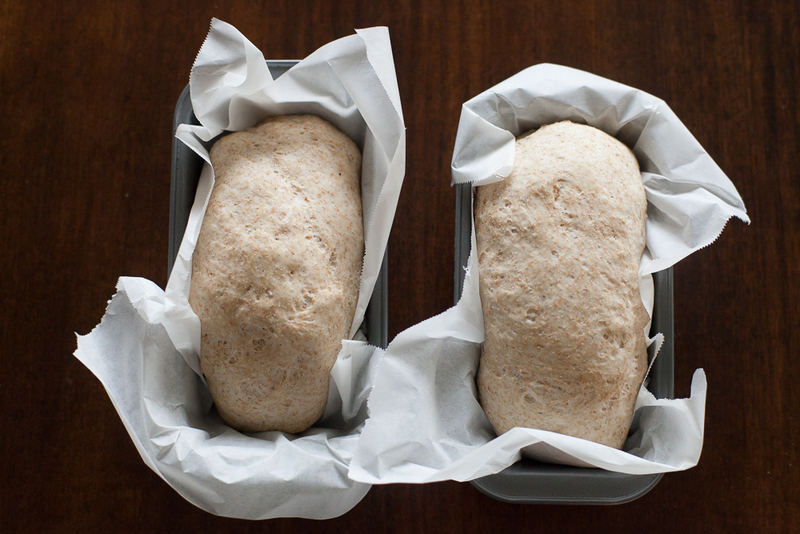 It takes one hour, start to finish...from dropping the first ingredient in your mixer to pulling out a hot loaf. ONE HOUR. Amazing. And it makes two loaves! (or FOUR if you double it in a larger mixer, like a Bosch). BAM. One hour, multiple loaves. Now I know this is not really a new concept anymore, many have heard of it or tried it already. But I am still marvelling. Plus, I feel a responsibility to inform lazy bakers everywhere who have not yet had their lives changed by this concept also. We usually make bread with this dough...but we have also made everything from sticky cinnamon buns to dinner rolls with it, too. -instructions are written for a stand mixer with dough hook attachment, but you can knead it by hand, just knead a bit longer. -I always use half whole-wheat flour, half all-purpose...and don't need any special modifications. -For 100% whole wheat, add 1/2 cup of plain applesauce as part of the hot tap water (so, 1 1/2 cups water, 1/2 cup applesauce), and mix for 7-ish minutes where the recipe says to mix for 3-4-ish minutes. -It requires instant quick-rise yeast, often found at stores in a larger foil pack for around $10...SAF-Instant is one brand, but Fleischmans is another brand that has it and I can find it at my local big-box grocery store. I do find I need just a teensy bit more of the Fleischmans. It is worth hunting down! Mix dry ingredients. Add oil (or lecithin) and water. Mix for 1 min and check consistency (if too dry, add a touch more water, too wet, add a touch more flour. 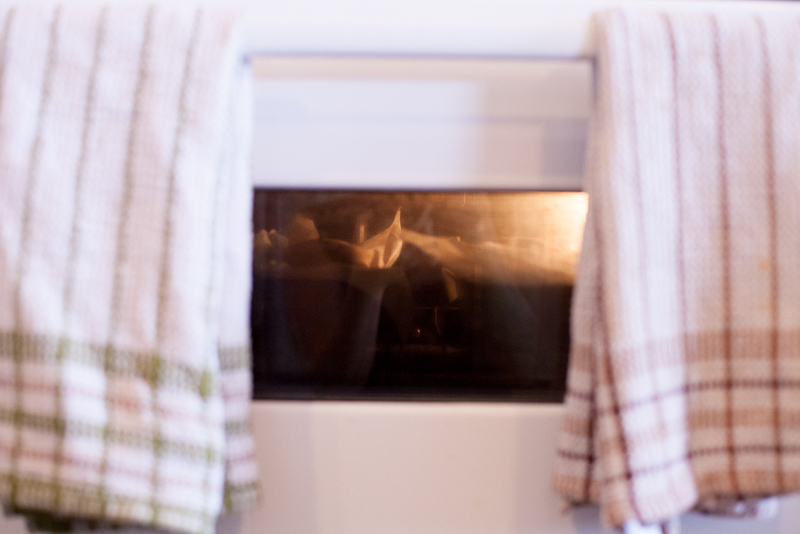 If you're using any whole wheat flour, count on needing to add a touch of extra water). Mix for 3-4ish more minutes: 3 minutes max if you're using all-purpose flour, closer to 4 if you've got any whole-wheat flour in there. 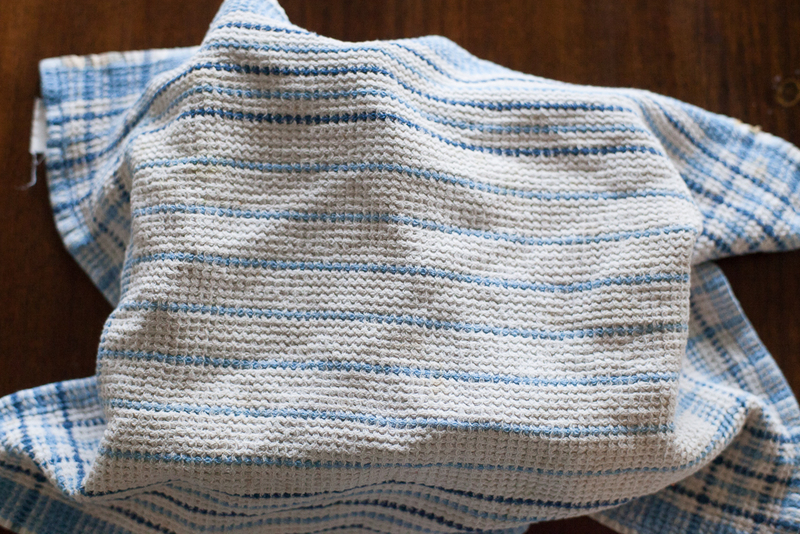 Spray pans with oil, or line with parchment paper. 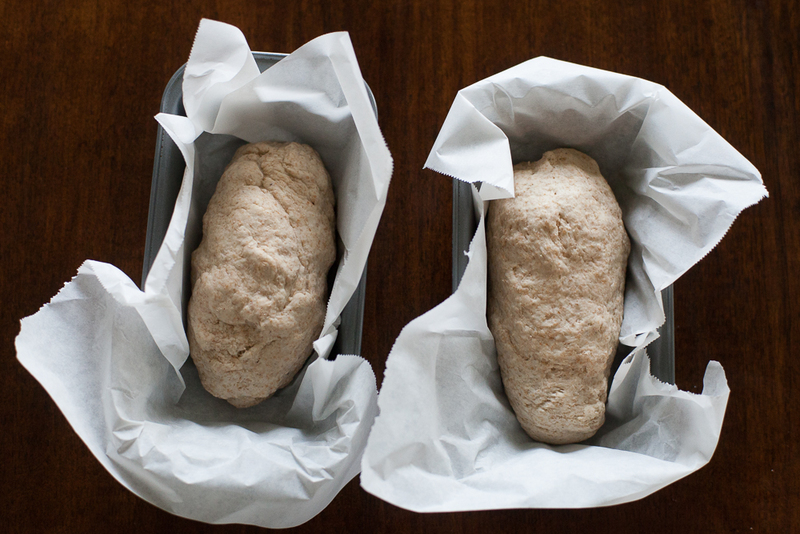 Shape into loaves with hands and place into loaf pans. Let rise for 25 minutes. Bake at 350 (degrees F) for 25 minutes. ...And definitely cut a piece while warm and eat with butter. 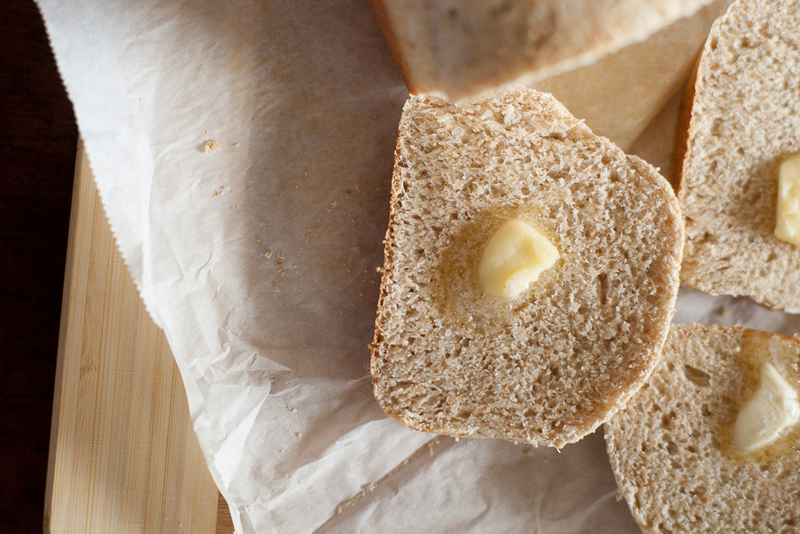 Honestly, we usually buy bread, mostly the soaked-grain variety (too lazy to make that myself yet...), but when I have used this as our staple-bread, it saved us lots of grocery money! 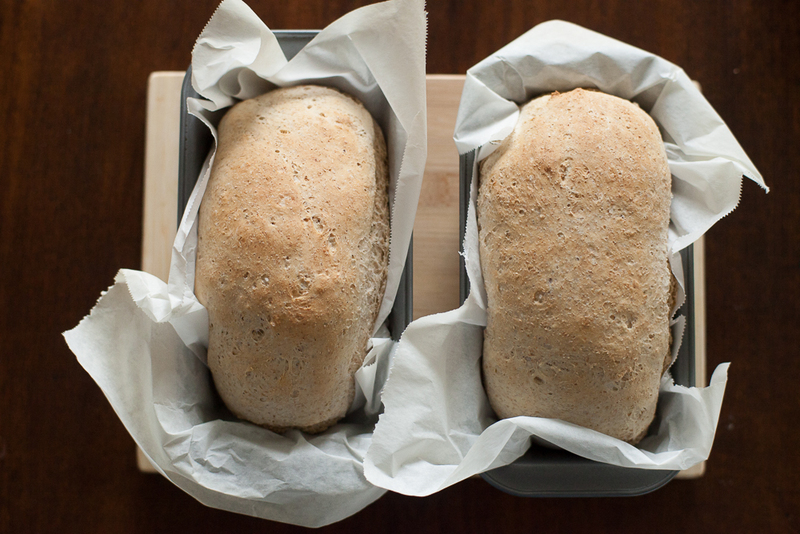 It is also simply perfect for those days when you just NEED homemade bread. Thank you, Wendy! So nice to "meet" you! Laura, this bread looks absolutely FABULOUS! Wow! 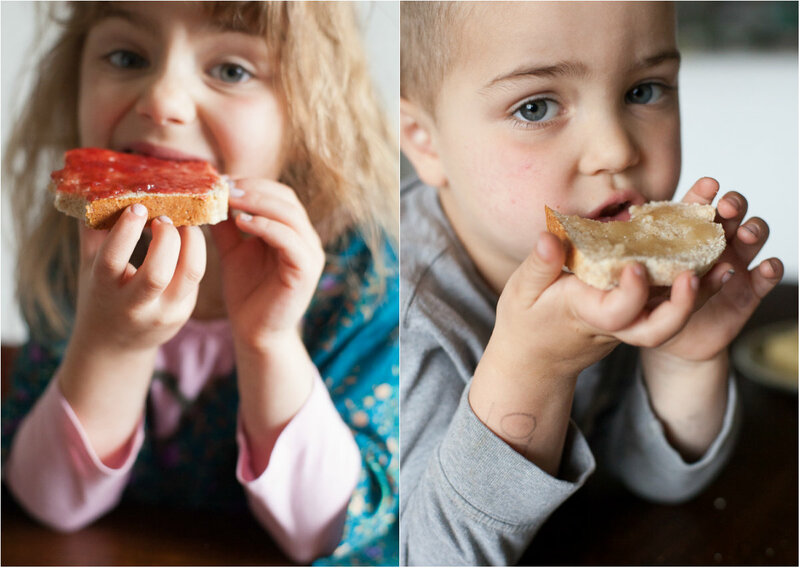 I love to make my bread from scratch... it's so much more delicious (and look at those little cuties eating it up). Excellent! I'm calling you up one day when I'm feeling ambitious.